Hematology and Blood Disorders is a novel journal which aims to be a quality platform for advancing the Hematology and blood disorder research. The journal through its rapid publication process brings high quality research, reviews, meta-analysis, reports, and perspectives on all disciplines which fall under the scope of the journal. Hematology and Blood Disorders is specialised in publishing original articles, review articles, case reports, commentaries, perspective articles, image articles, editorials, letter to editors, mini-review, and short communication etc. in all the areas of hematology and blood disorder research. Hematology and Blood Disorders is an open access journal designed for the wide dissemination of research in the field to the global audience. 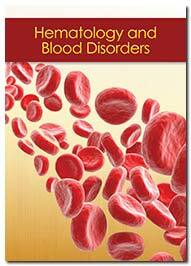 The journal is focused on the publication of important breakthroughs in the field of blood and blood related disorder research. Researches including haematological studies, molecular genetics, pathophysiology, etiology, epidemiology, prevention, diagnosis and management of blood disorders fall under the wide aspect of the journal. Hematology and Blood Disorders scopes are but not limited to anemias, leukemias, blood clotting disorders, multiple myeloma, lymphocytic disorders, immune system disorders, blood count disorders, stem cell disorders, transfusion medicine, hematology, thrombocytopenia, thalassemias, Hodgkins lymphoma, Non-Hodgkin’s lymphoma, red cell biology, immunobiology, hemobiology, bone marrow transplantation, acute myeloid leukemia etc. The journal accepts original research article, review article, short communication, case report, letter-to-the-Editor and Editorials on recent research developments in hematology and blood disorders for publication. Manuscript processing will be done through the Editorial Manager System to ensure quality in the peer review process. The editorial manager provides easy access to the authors to track the process of manuscript evaluation and publication in an automated way. All the submitted manuscripts undergo peer review done by the experts of concerned field. Approval of at least two independent reviewers and the editor is mandatory for any manuscript to be considered for publication. Comparing methods of tranexamic acid administration and blood reinfusion in reducing blood loss during total knee arthroplasty. Myelodysplastic syndromes and elderly patients.